Posted by cbrotherson in magic of myths preview book, magic of myths season two, preview. We’ve been teasing you with the forthcoming Magic of Myths 2013 preview, but now it’s time to lift the curtain and show you what’s in store, bit by bit. And what’s going to be underneath this pretty surface? Well, we have four sections inside the book. 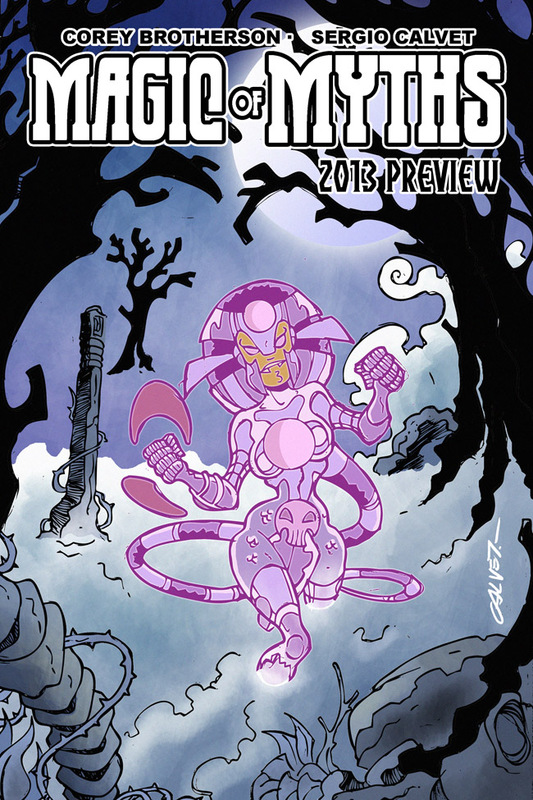 The first is, as you would expect, an eight page preview of Magic of Myths: season two.